Very good location, has private access to the beach and jetty. All prepared kitchen equipment. We booked this apartment because of its view / location and the claims about its wifi. The view did not disappoint at all and the property was well set up. the view was amazing, the villa was comfortable and spacious, the bed was very comfortable, a fantastic place to get away from everything. Perfect location, sunsets spectacular, gardens were pretty. 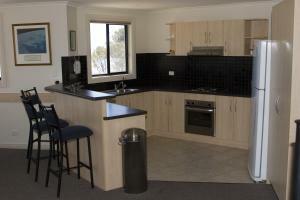 Great location, great view, right on beach and jetty, couple of eatery's within 200m of place. Not too far from town centre. The views were spectacular, exceeded expectations. The owners and caretakers were very obliging with all requests. The free Wifi was appreciated by all family members. The kitchen storage and fridge size were ample for a family of 6 and a long stay. Excellent location, kitchen and laundry facilities, undercover car park. Lovely accomodation in an excellent position close to beaches and restaurants. Beautiful views of the sea and coastline from the deck. Lock in a great price for Cliff House Beachfront Villas – rated 8.7 by recent guests! 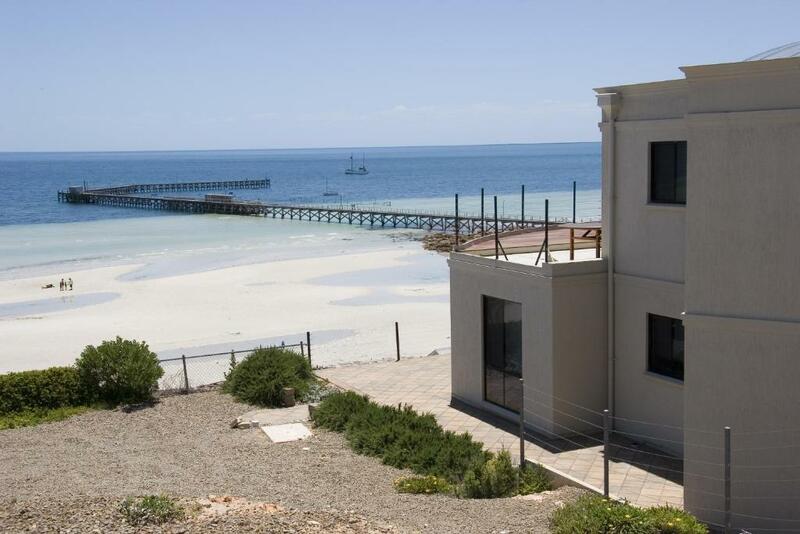 Boasting an absolute beachfront position on Moonta Bay, these apartments feature stunning ocean views. Cliff House Beachfront Villas feature a relaxing spa bath and either a balcony or patio. 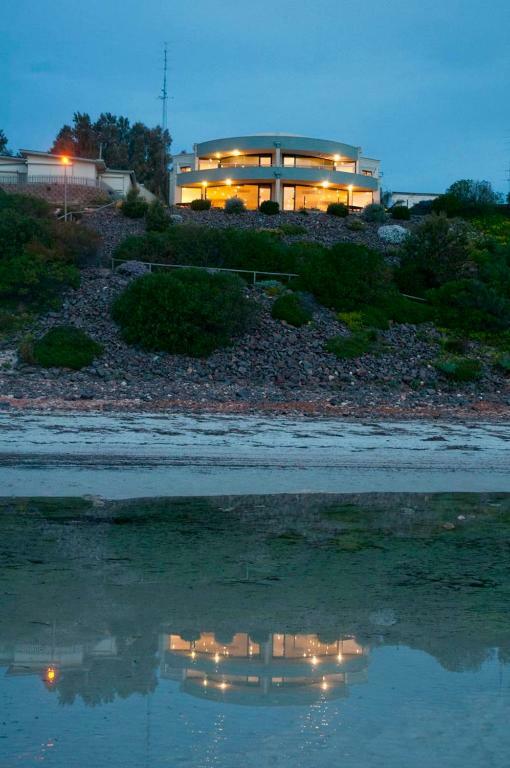 Cliff House Beachfront Villas is a 5-minute drive from the heart of Moonta. It is also a 5-minute drive from Moonta Golf Course. Adelaide is a 2-hour drive away. All apartments feature a fully equipped kitchen, BBQ facilities and indoor/outdoor dining areas. There is a lounge area with a satellite flat-screen TV and DVD player. There is also a laundry. 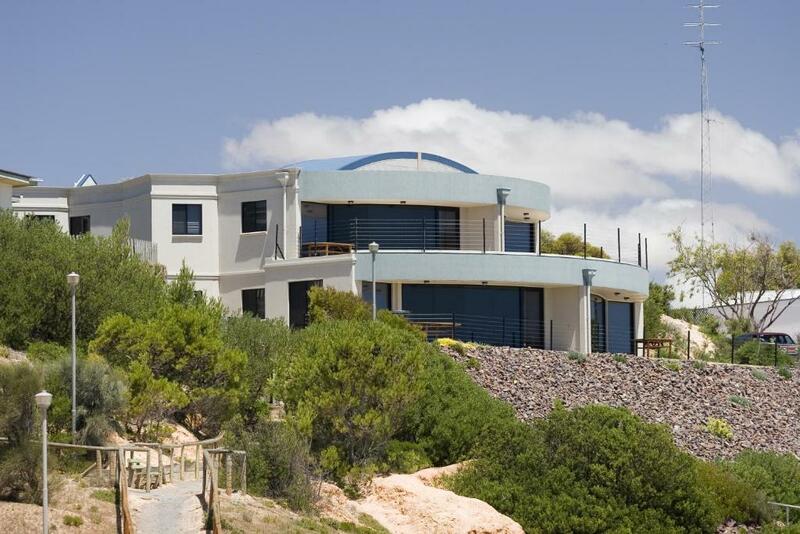 This property also has one of the top-rated locations in Moonta! Guests are happier about it compared to other properties in the area. 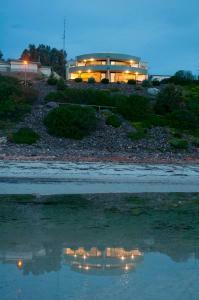 When would you like to stay at Cliff House Beachfront Villas? This apartment features a patio, stunning ocean views. It features a fully equipped kitchen, BBQ facilities and indoor/outdoor dining areas. There is a lounge area with a satellite flat-screen TV and DVD player. There is also a laundry. This apartment features a balcony, stunning ocean views and a relaxing spa bath. It features a fully equipped kitchen, BBQ facilities and indoor/outdoor dining areas. There is a lounge area with a satellite flat-screen TV and DVD player. There is also a laundry. House Rules Cliff House Beachfront Villas takes special requests – add in the next step! Cliff House Beachfront Villas accepts these cards and reserves the right to temporarily hold an amount prior to arrival. Please inform Cliff House Beachfront Villas of your expected arrival time in advance. You can use the Special Requests box when booking, or contact the property directly using the contact details in your confirmation. The smell of the septic tank. Oven and stove was filthy, Shower had mould on the tiles. Bedrooms were very dusty and the huge cockroaches at night. I loved the view. The spaciousness of the house. No airconditioning in bedrooms, staircases from carpark to unit makes it unsuitable for older people as it is heavy to carry lugguages to unit. Description of the unit ads made us assume that there are airconditioning in bedrooms. The ensuite toilets are small make it difficult to turn. Good speed of wifi, house was clean, nice view of beach. Boxes of tissue available for each room and towels and linen clean and ready. 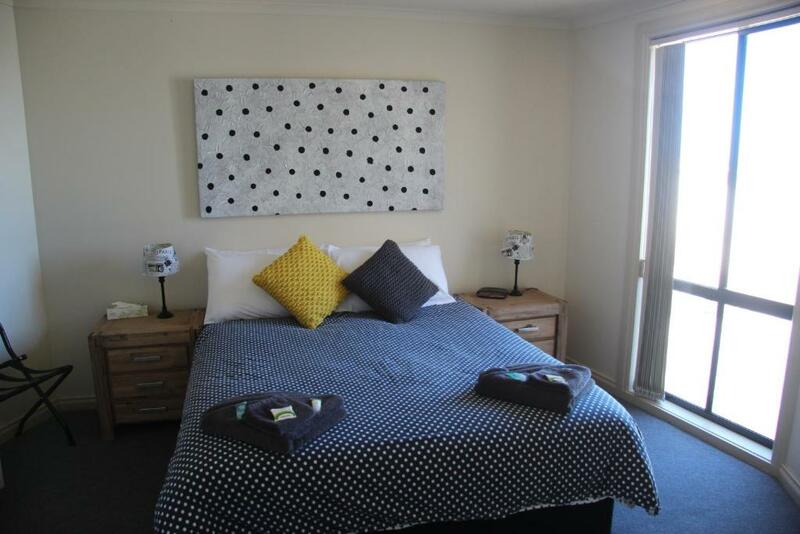 The bed was very very uncomfortable, unfortunately cannot use the spa after a certain time, you can hear everything from the neighbours, the walls are paper thin, you can hear the toilets flush, the taps, the doors shut. Theres not much privacy at all when on the balcony, even when whispering the neighbours can hear you. No air conditioning or even fans in the bedrooms, not nice in the humid weather. The view was quiet nice. Loved the view and location. Antenna for the tv wasn't working, so nothing worked except for youtube. Obviously not there for tv but it's handy to have morning/nights for the kids. Could do with a vaccuum/dustbuster. You can hear tv sounds, shower sounds, walking sounds from upstairs apartment. An electric fry pan or a good stove top non stick fry pan would be useful. Additional storage containers would definitely be on my list of must brings. A few kids games would be great, left behind a set of cards for future guests :). Inconsiderate neighbours upstairs overflowed the spa leaving us with water dripping from the light fittings. Dangerous situation that warranted us calling the caretakers who, along with the owner, managed the situation well, so as not to allow it to ruin our stay. Entrance dark until lights came on at ?7pm. Stairs a little dangerous in the dark with luggage etc.